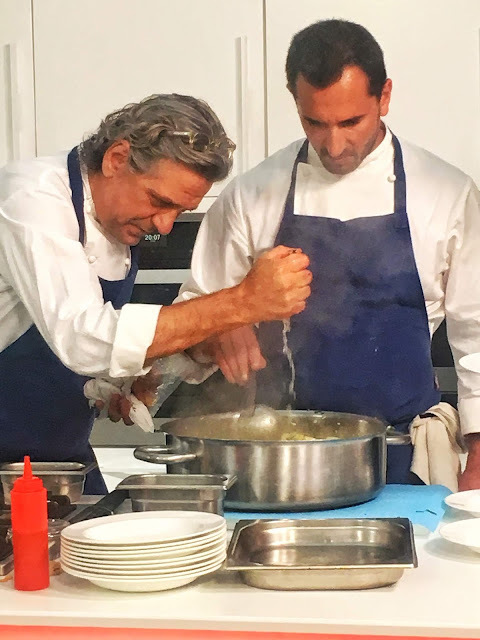 I was recently at a dinner hosted by the Italian Chamber of Commerce and Chef Giorgio Locatelli to learn about the Italian Sounding Phenomenon. But more on that later. 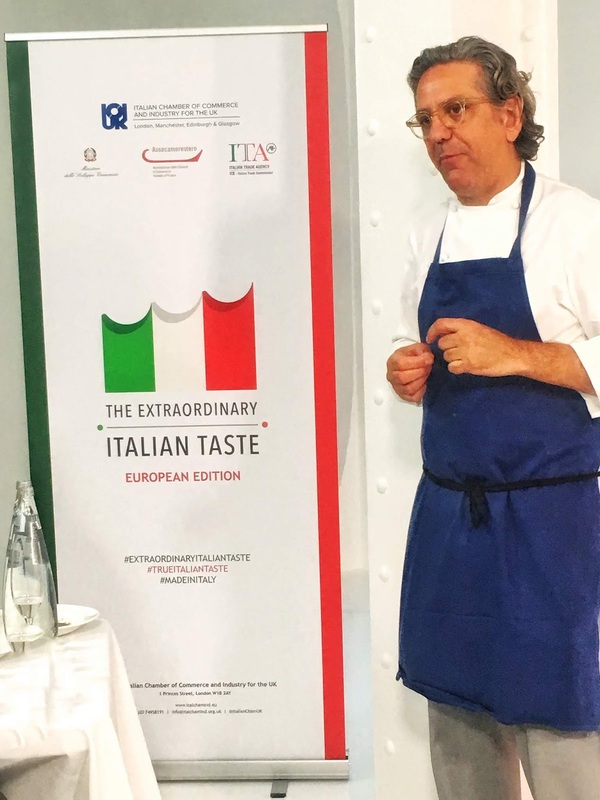 Italy has a staggering 810-plus food products and wines recognized by the European Union as Protected Designation of Origin (DOP) or Protected Geographical Indication (IGP), making it one of the leading countries in the world for food and wine excellence. 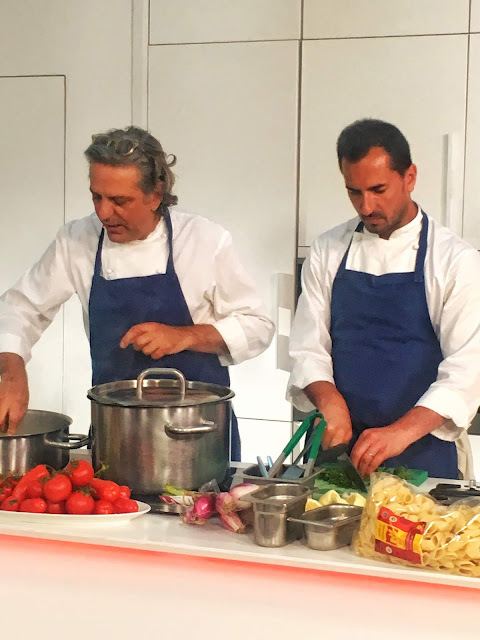 Think Pasta di Gragnano (IGP), Salame Toscano (DOP), Mozzarella di Bufala Campania (DOP), Amalfi Lemons (IGP) to name just a few, there are so many easily recognizable names even for us folks here in the UK, right? But what if I told you that an estimated sixty billion euros are generated worldwide from sales of Italian-sounding products that have little if any connection at all with Italy? Welcome to the Italian Sounding Phenomenon! In the UK, Italian products that are mainly affected by this include Parmigiano Reggiano, Prosciutto di Parma and olive oil. We all use Parmesan cheese in our everyday cooking but perhaps not many are aware that the real McCoy Parmigiano Reggiano is matured for at least 12 months and has “Parmigiano Reggiano” fire-branded on the rind. In addition to that, the name Parmigiano Reggiano and their DOP certification symbol should both be visible on the packaging. Having the words “Parmesan Cheese” on a label is not in itself an indication of authentic Italian Parmigiano Reggiano. So watch out. DOP and IGP certification go far beyond the labeling and marketing of Italian food and wine, they are certificates of provenance and outstanding quality that we should understand and look out for. Protected Designation of Origin (DOP) identifies food products and wines that are made in a specific geographical area by local producers using only local ingredients under a precise set of specifications. In addition to Parmigiano Reggiano, other popular DOP labeled ingredients are Mozzarella di Bufala Campana and Prosciutto di Parma. 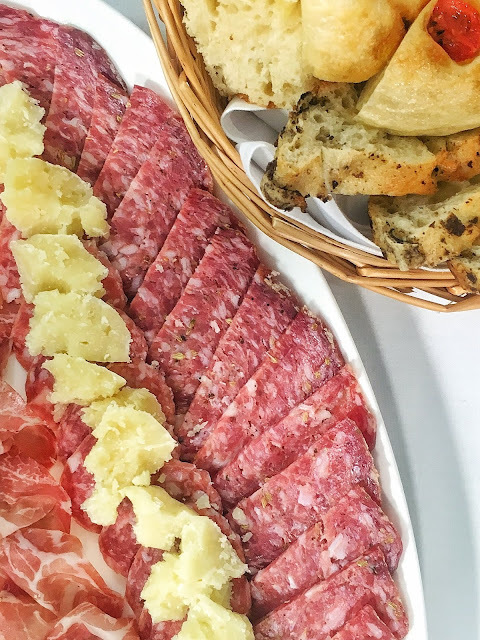 Their DOP certification attests to their quality and is a guarantee that these products could only have come from Campania and Parma respectively. So make sure to look out for their full Italian names and the red DOP logo on the packaging before making your purchase. Protected Geographical Indication (IGP) refers to Italian food and wine linked to a particular region where they are made by local producers. The main difference between DOP and IGP labeled food and wine is that with IGP products, the ingredients used to make them need not to have come from that same geographical region. IGP labeling is very commonly seen in wines, though to obtain this classification, at least 85% of the grapes used for the production of these wines should come from the indicated geographical area. A fine example of an IGP labeled food ingredient is Pasta di Gragnano IGP. Gragnano is home to the very best artisan pasta of Italy and I was lucky to visit it only a few years ago by invitation of the Italian Trade Agency and learn about San Marzano tomatoes, Mozzarella di Bufala Campana and Pasta di Gragnano, you can check this feature here: http://www.thelondonfoodie.co.uk/2015/01/a-foodie-pilgrimage-in-campania-italy.html. Back in London, and in the very good hands of Chef Giorgio Locatelli, we were treated to a spread of authentic Italian DOP and IGP products. These included a selection of breads and grissini, olives and cured meats such as Salame Felino IGP, and Salame Toscano DOP studded with fennel seeds (which was rather special), and Prosciutto di Parma DOP. 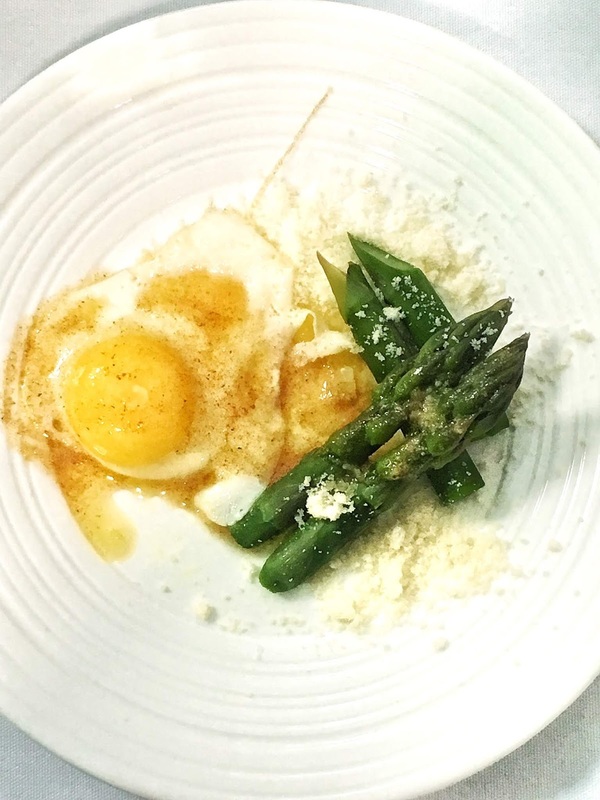 Next up were steamed asparagus, quail egg and Parmigiano Reggiano DOP – the matured, umami-laden cheese brought great depth of flavour to a deceptively simple dish. 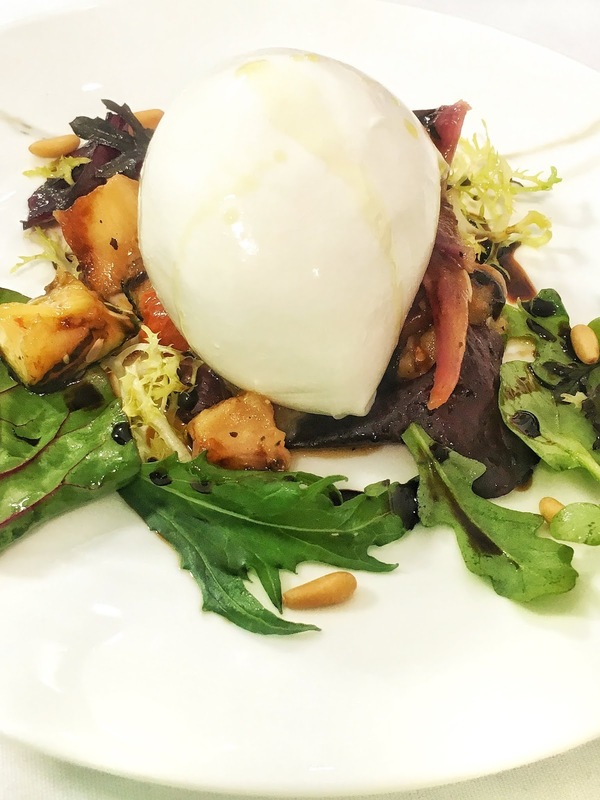 The following dish included two other DOP ingredients - Mozzarella di Bufala Campana DOP served over Caponata (a Sicilian aubergine stew with a number of other vegetables) with Aceto Balsamico Tradizionale DOP, which imparted a lingering sweetness and acidity, perfectly balanced. 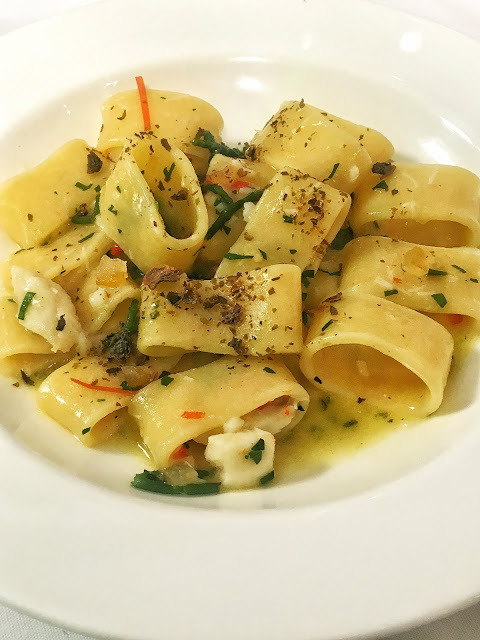 The star of the dinner though was the Calamarata di Gragnano Pasta IGP with monkfish, candied Amalfi Coast Lemon IGP peel, samphire and capers. 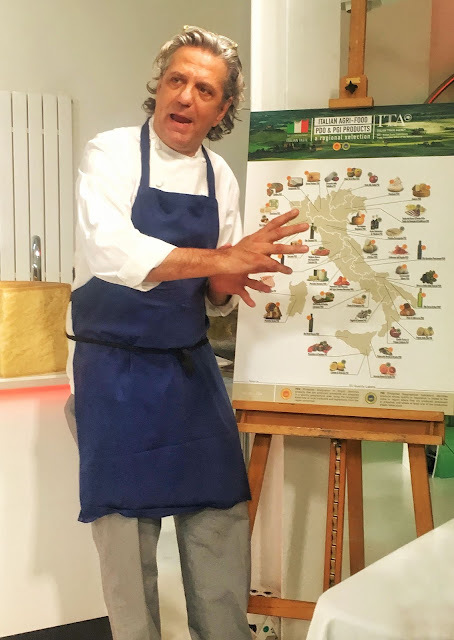 Locatelli tells us that you should always choose your sauce based on the shape of the pasta used. This was my first time trying Calamarata, a tubular pasta very similar to the Neapolitan Paccheri but a tad shorter. I loved the sauce – a mix of small pieces of monkfish with candied Amalfi lemon peel and crunchy greens, indeed a great match to the Calamarata di Gragnano IGP. 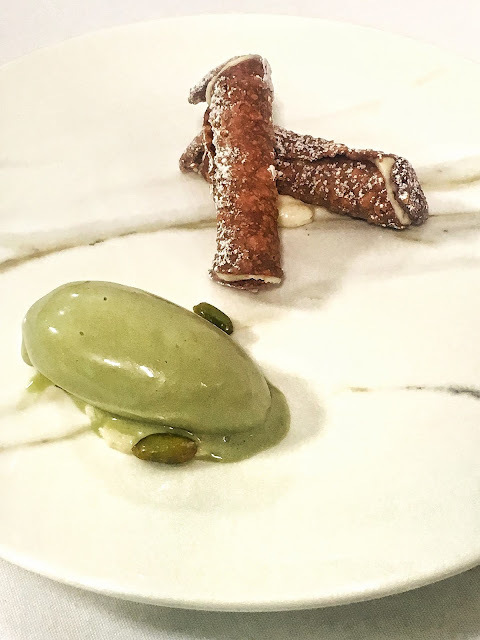 Locatelli then served us Sicilian cannoli filled with almond cream made from Mandorle di Noto IGP (almonds of Noto), and Pistachio di Bronte DOP ice cream – a perfect ending to a highly accomplished Italian dinner. As with Japanese, Italian food is a fine example of a cuisine that is deceptively simple but relies on high quality ingredients. It is all about the ingredients when it comes to Italian food, so using lower grade or Italian sounding ingredients to create authentic Italian dishes will just not do.